The best prices and quality service. The average delivery time is 5-10 minutes. 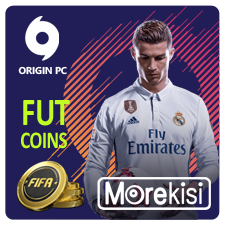 Coins for the players used in the transfer, compensate. We work every day from 9.00 to 23.00 in Moscow. 1. Pay the purchase at the top right of the page. After payment, you will receive a unique 16-digit code. 2. After payment, you need to contact our operator and provide a unique code of the goods and you will be given the necessary instructions for exhibiting the player (players) in the transfer market. In order to leave a review, go to https://www.oplata.info/ in the section "My purchases", indicate your e-mail specified at the time of purchase and follow the instructions to get a list of the goods you bought. Select a product, and leave feedback at the bottom of the page. ATTENTION! According to the rules of the game (as in any other game) it is forbidden to buy game currency or any other transactions for real money, in the case of sanctions, the seller does not bear responsibility and there can not be any claims. contact our operator, provide the number of game currency, your cost and the regularity of deliveries.